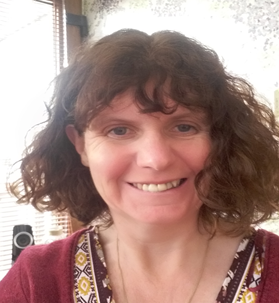 University of Edinburgh doctoral student Jane Malcolm responds to Call 17 of our 25 Calls campaign, which focuses on the need to prioritise integration, support for families and participation to give children the best start in life. The Scottish Government has pledged to make Scotland the best place in the world for children to grow up. This is an admirable claim and important for the lives of children and their families. However, as Sally Cavers states in Call 17 it is now time to step up and make sure children really do receive the best start throughout childhood and into adulthood. Call 17 also stresses we need “services planned around a child’s learning and development journey”. I believe at the heart of these services all children must experience love. My doctoral study investigated the role of love in early learning and childcare, in particular the impact on the delivery of services and policy development. While carrying out my research I was told, on many occasions by early learning and childcare practitioners, that “some children are just too hard to love”. As I have always taken a rights based approach to my work in early learning and childcare, whether it be working directly with children, teaching in colleges and now in policy development, I don’t agree that some children are too hard to love. It is not good enough to say some children can’t be loved because practitioners find their behaviour too difficult to manage. It made me question what was wrong with the system that made practitioners feel that it was okay to say that some children wouldn’t get their love because they were too difficult. 'Now is the time to capitalise on this shift in thinking and really push to embed love, not in a tokenistic way but really get it at the heart of our early learning and childcare policy in Scotland'. Call 17 states “Policy and practice must support the broad foundations of a child’s life, provide nurturing services that are developed alongside the families they benefit”. The last few years have seen an increase in the use of the word “love” in government policy in Scotland. However, there is still a reticence to include love in guidance documents. In order to deliver policy and practice which provides nurturing, although I would argue, loving, services it is crucial we develop an understanding of where this reticence comes from and how we might overcome it. My study considers how the personal experiences of love of those who work with children, can impact upon the understanding of how to deliver services underpinned with love. I also explored how love might impact upon the development of policy in early learning and childcare and the wider care service. The aim of Scottish Government (2018a:75) is to make Scotland “the best place in the world to grow up”. The significant progress described above shows the Scottish Government are being courageous and acknowledging the child’s right to love. 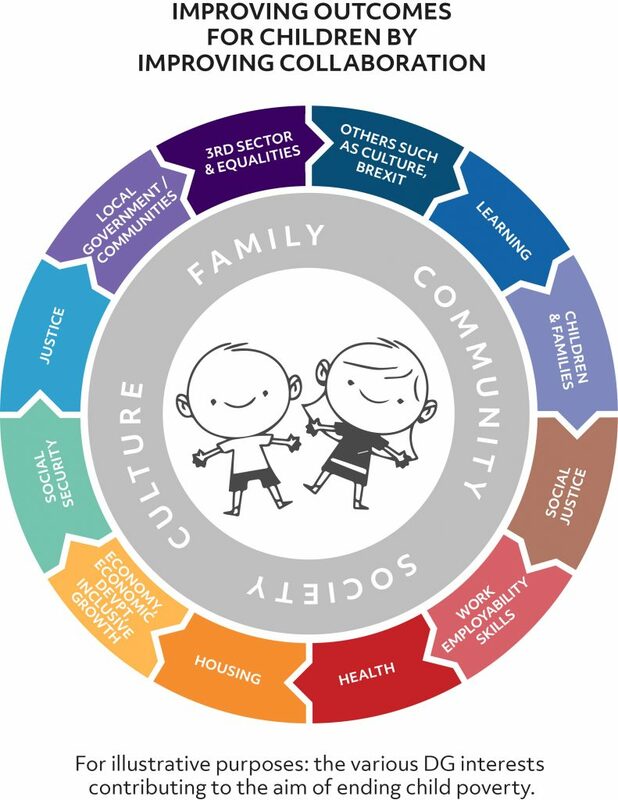 The National Performance Framework for Scotland, which tracks how the current Scottish Government are meeting their own performance criteria also includes love as one of their targets “we grow up loved, safe and respected so that we realise our full potential” (Scot Govt, 2018b:75). Without doubt defining love is hugely complex. For each and every one of us love means something different. For some love is simple for others it has complicated associations with sexual and romantic love. There are those who will say love should be kept for family only, while others say it is about your actions with everyone you meet. So it isn’t surprising that policy makers have avoided using such a small yet hugely evocative word in policies. However, as Lead Professionals rely heavily on policy and guidance including the word “love” in the policy discourse will challenge Lead Professionals to have those difficult conversations with staff around how services are underpinned by love. At present in Scotland, Dunlop (2015:264) describes how policy aspiration is high, with the policy framework interlinking and overlapping to tackle issues of social justice with a focus on “ensuring all children’s wellbeing and improve outcomes in order to tackle the unequal childhoods that lead to unequal lives”.Scottish Government policy and guidance documents are slowly beginning to catching up with the understanding of the importance of love to children’s development and overall wellbeing. The Programme for Government for 2018 - 2019 sets out ambitious plans to ensure the Government invest in children not only financially but also with love (Scot Govt, 2018a). It may be too simple to say the solution would be to include ‘love’in the policy discourse. However, already eagerness can be seen in the understanding and eagerness from politicians and practitioners to embed love in practice simply from the inclusion of love in a few current policy documents. Care must also be taken whencreating policy to not over formalise love as it will lose its effectiveness as an integral part of the development of the child’s wellbeing. Now is the time to capitalise on this shift in thinking and really push to embed love, not in a tokenistic way but really get it at the heart of our early learning and childcare policy in Scotland. Blog: http://janeymphd.blogspot.co.uk/Love, Policy and Professionalism: The Early Learning and Childcare Lead Professional. "Prioritise integration, support for families and participation to give children the best start"